Come and join us at the Balmers Club to party till late, enjoy our famous burgers in the outdoor restaurant in summer. We will hook you up with the best adrenaline rush activities in town and give you the best tips to explore the Swiss Alps. 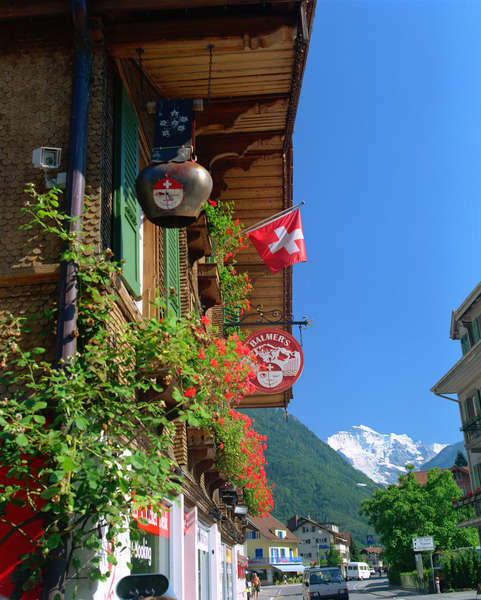 Enjoy the free walking tour, taste lovely Swiss chocolate and sww how they make cheese on the Culture Tour! Don't miss the roof top Jacuzzi to wind down after all your activities or snuggle up to a warm fireplace in the winter after a day of skiing in the most beautiful scenery ever! Over the past six decades we have provided excellent service and accommodation for both individuals and groups. We are part of the elite Europes Famous Hostels group, due to our FUN atmosphere, exceptionally clean rooms, low prices and a large variety of facilities. Free high speed WIFII in lobby and rooms. Straight out of station, between the bank and the shopping centre, straight through two traffic circles, and follow brown signs to Balmer's. 15 minutes walk. Alternatevly Taxis are available for approximately 15 francs from either stations or local busses - number 105 from the West and Number 104 from the Ost station. We require a minimum of 24 hours for any changes or cancellations done to individual bookings. If this time frame is not adhered to we may not be able to accommodate changes and for cancellations we will charge the first night of the total booking. For group bookings (more then 10 people) we require a minimum of 1 week cancellation period. If not complied, a full night stay will be charged.